Airbnb for offices - every start-ups' dream! This week Savills Ireland launched “Workthere” - Dublin’s new Airbnb-style solution to finding office space. 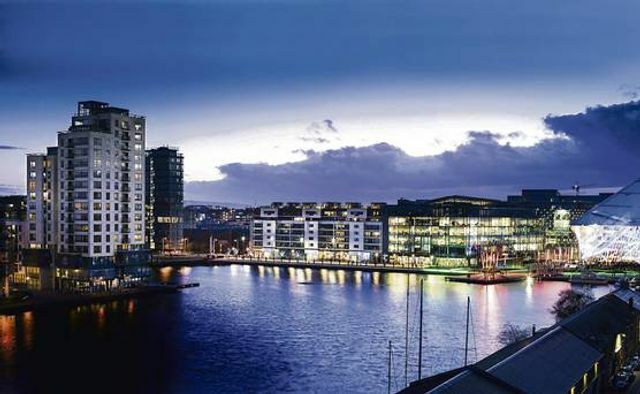 The website is targeted at growing businesses, including start-ups, SMES and even larger corporates, who are on the hunt for flexible, co-working and serviced office space across Ireland. Serviced offices are typically offer on flexible terms, as opposed to a conventional lease which require furnishing, voice and data connections, and more restrictive leases with long-term tie-ins. The flexibility allows companies to add to or reduce space at short notice to meet ever-changing economic and business needs. It also allows businesses to test new geo markets without the expensive or risk of committing to a 3 or 5-year lease. Serviced offices are typically offered on licence rather than by a lease. The flexible benefits of this mean companies often only have to commit to a few months and as the document is short. This also means legal costs are kept low (what every start-up wants). With serviced offices, you only pay for the space you need and the services you use. Unlike conventional leases with their inherent additional taxes and costs, all fixed costs of the serviced office are covered in a monthly payment to the business centre management. Companies may not be able to extend their brand and corporate style to the office space. There is less visibility for a business as branding is unlikely to appear on the building’s main reception directory (though most serviced offices offer directory listings on their premises). Shared facilities may not be available when you need them. Rental costs may be more expensive over the long-term for larger companies with >30 staff if you don’t need to make frequent office changes. Disadvantages aside, you can see why this option is attractive to start-ups and those companies entering the Irish market for the first time.